Volunteering overseas is an amazing opportunity to make a difference where it really counts, you can put your skills to use whilst working with disadvantaged children, communities, animals and conservation projects. As with most things in life, the more you put into your placement, the more you get from it! You can create some amazing memories, form life-long friendships and develop skills you may not have otherwise had the opportunity to. Preparation before you go is vital to lay the foundations for you to excel on your placement. It is always worth reading travel guides before you travel, in order to get a feel of your destination country and it's culture. This will complement our Volunteering Guide, which elaborates on the local area in which your project is situated. This will help ease any anxieties you may have about travelling to an unfamiliar destination before you embark on your journey. It is particularly handy to read a bit further on any dos and don’ts for visiting your destination. You will feel more comfortable and be ready to jump straight into the role if you understand what is expected of volunteers and how they may be perceived by the local community. However, if you are at all unsure during your placement, do not hesitate to chat with your volunteer coordinators- their experience living in the country means they are best placed to advice you. 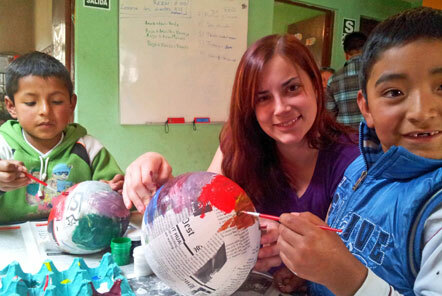 Go the extra mile to enhance your cultural experience during your volunteer placement! For example, why not make an effort to learn the local language, this will be appreciated by the local community and improve your communication with the local team. Exploring the local area is particularly intrinsic to this cultural experience, find out what places of interest are near your project and how much it costs. 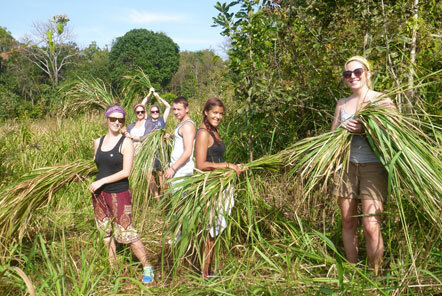 Budgeting for a great adventure is a vital way to make the most out of your placement. Research your volunteer role and ask lots of questions! Your dedicated Placement Manager has a wealth of information and will be more than happy to give you a sense of what your volunteering role will involve. They can advise you on what resources may be useful to bring and whether these can be bought locally, or brought from home. So don't hesitate to ask them lots of questions before you go! Additionally, you should read previous volunteers’ experiences on our website, they are a useful insight into the volunteering role and the challenges this may entail. Past volunteers have also detailed brilliant creative ideas and activities that they have put into action, this is a real source of inspiration for any volunteer preparing to join the team! Being equipped with the knowledge as to what methods and approaches are effective, gives you the confidence to use your individual skills and talents to the full. Simple preparations like this will lessen first day nerves, as you can be confident in the knowledge that your contribution is relevant and effective from the start. Many of our volunteers have found it helpful to post on our Facebook page before they travel, as a means to communicate with their fellow volunteers. Get in touch, introduce yourself and learn a bit about them. This way, instead of being daunted at the thought of heading off into a great unknown, you will be excited to get there and meet your new friends or hear from people who have been there before! You are now set to hit the ground running upon arrival at the project. Whilst it's perfectly normal to feel nervous or unsure of a new environment, don’t let it get the better of you. Presenting yourself from the start as a proactive and positive team member will be a springboard for you to grab this incredible opportunity with both hands and make a real difference. Be reassured that the local team are ready to offer support and let your talents shine- do not be afraid to offer your help where you can! Go with the flow, the unexpected opportunities could be your real chance to learn and return home knowing that you have made the most of volunteering overseas. Start your journey today by applying to join one of our projects. We look forward to helping you prepare for an amazing volunteering experience!